Preparing for the birth of a child can be an overwhelming experience. Your body is changing in remarkable ways (okay - sometimes not so remarkable), your to-do list is growing, and your energy level may not be what it used to be to get all of this stuff done. 1. Naturopathic Doctor: My naturopathic doctors have always been in my corner. I have worked with a few over the years to help me overcome depression, manage anxiety, survive an ectopic pregnancy, achieve two healthy pregnancies, and help me throughout the pregnancies and post-partum with counsel on nutrition, proper supplementation, regular blood work to assess for deficiencies and irregularities, as well as treatments for sleepless nights, cramp-y legs, terrible morning (all day) sickness and headaches. Us NDs are here with you every step of the way! 2. 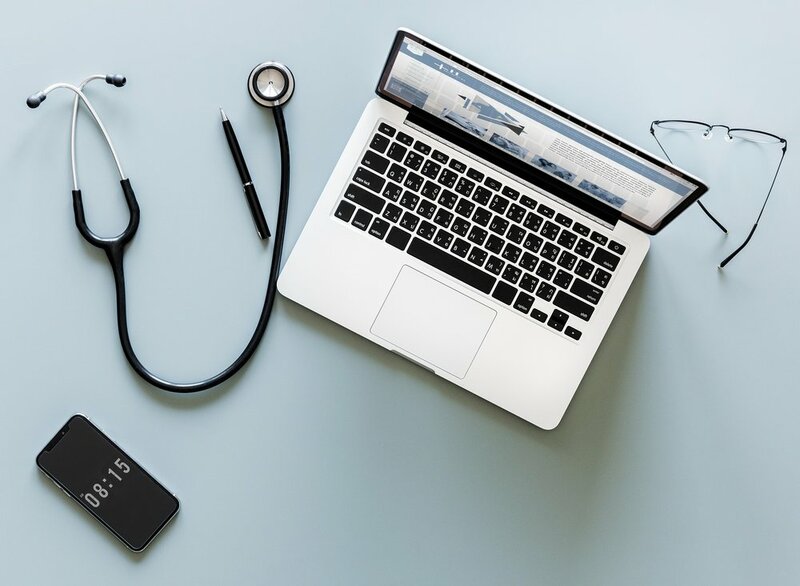 Midwife or OB/GYN: I had worked closely with my OB/GYN, Dr. Yaakov Bentov, MD of TRIO Fertility after the loss of my 1st pregnancy in the spring of 2015 to ensure that my first viable pregnancy was not going to be ectopic, too. At the 8 week mark (and after two ultrasounds) he gave me the all clear to choose my care provider. Since Dr. Bentov focuses on reproductive endocrinology, he no longer delivers babies. I decided to go with a midwife for my first pregnancy because I wanted to ensure thorough, natural care with as few interventions as possible. My midwife, Mei Luo, RM, works with Family Care Midwives in Vaughan. I met with her frequently to discuss family history, my health history, nutrition, pre-natal care, home birth education (although, I have chosen to have a hospital birth), pain management techniques, and, of course, to get measured, weighed, requisitioned (for ultrasounds and testing), and to hear baby's beautiful heartbeat. I feel very supported and cared for, and love knowing that she will be in attendance at my birth. She was present at the birth of my first child, but did not deliver because I developed pregnancy-induced hypertension. My care was transferred to the OB/GYN on staff. My midwife stayed with me, and attended to me after the birth. I also had frequent check ups following the birth up to the 6-week mark. For my 2nd pregnancy, I was not able to work with midwives due to my high-risk status given my previous pregnancy-induced hypertension issue. I worked with an OB/GYN from the start of the pregnancy with my son. It was certainly a different experience than working with midwives given that visits were shorter, I wasn’t able to call with questions, he did not deliver my child, and there is only one follow-up visit at the 6-week mark. For this reason, I was determined to work with a doula throughout my pregnancy and for delivery. I wanted to a consistent care provider who would also be present at the birth. See more on this next. 3. Naturopathic Doula: Working with a doula throughout my pregnancies, labour and deliveries was never an option! It was always a must! I knew I would need someone to coach me (and my husband) through this experience. My doulas have also been naturopathic doctors, which means I get all the benefits of naturopathic medicine during my labour - acupuncture, botanicals, homeopathy, and more. Plus, I get all the benefits of a doula - coaching, support, pre- & post-natal care for me and baby. Often, working with a naturopathic doula will mean your care is covered by extended medical benefits under your ND coverage. Bonus! 4. Acupuncturist: I have been working with Anne Matthews, LAc of Energy Tree Acupuncture since fall of 2015. I initially saw her when I was going completely out of my mind studying for a huge exam. After I completed my exam, I started seeing her for acupuncture to increase my chances of conceiving. Acupuncture is certainly something I am trained in as an ND, but for me it made more sense to see someone completely dedicated to this and close to where I live. After successfully conceiving my daughter, I worked with Anne once each month to keep me balanced during my pregnancy. In fact, her treatments helped me overcome incredible nausea, backaches, and headaches all related to the little human growing in my womb. I also worked with to Anne to help induce my labour for both my daughter and my son. 5. Pelvic Floor Physiotherapist: I began working with a pelvic floor physiotherapist in the fall of 2015 to ensure there was no residual scarring after my ectopic pregnancy. I was already having issues with feelings of heaviness and peeing a little when sneezing, and I did not want these to continue during pregnancy or after. I continued to work with her throughout both pregnancies to keep my pelvic floor balanced, strong, and leak-free before and after delivery, and to avoid diastasis recti - the dreaded splitting of abdominal muscles leading the "mummy tummy". The Ab System is also something I also have used after both pregnancies. 6. Pre Natal Pilates, Fitness and/or Yoga Instructor: I also used the Bump Method pre-natal pilates videos developed by Nikki Bergen. I use the 50-minute workout twice each week. I also worked with a personal trainer at the gym to learn how to properly adjust my workouts during pregnancy. Eventually, I switched to Natalie Hodson’s at-home pregnancy workouts. 7. Hypnobirthing: My husband and I took this awesome labour prep course. This course taught us how to stay calm through labour, release fear, and breathe. It's like advanced Lamaze. I am also took Dr. Corinne Brown, ND's Love Your Labour course to help me be adequately prepared for the big event! 8. Lactation Consultant: My midwives and doulas were able to provide excellent guidance on breastfeeding before and after my babies were born, but I also took an online course called Prenatal Breastfeeding Companion developed by my colleague Dr. Laura Kent-Davidson, ND, who is also a lactation consultant. 9. Meditation: MY DAILY SAVING GRACE! 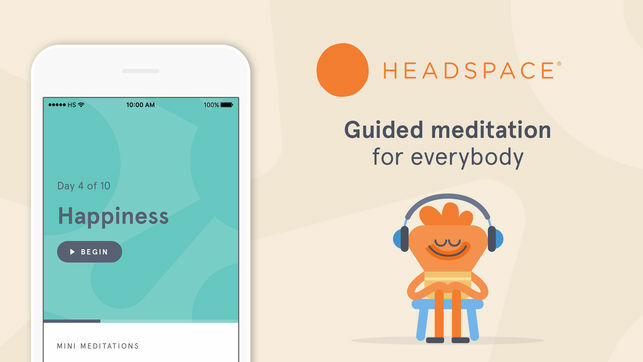 I have been using Andy Puddicombe's Headspace meditation app for years. He has a specially designed 30-day program for Pregnancy, which I have been using daily to get in the right headspace - literally. It helps me enter my day calmly and gives me time to connect with baby. As you can see, I have taken a headfirst dive into preparing my prenatal team. It's important to me to be surrounded by love, support and excellent guidance as I make my way into motherhood. Feel free to drop me a line about your prep or questions. After having delivered baby Grayson back in 2016, and now having been to the hospital with false labour twice for upcoming baby boy, I feel I’ve got labour & delivery kit packing in the bag (pun definitely intended). My list below represents a collection of both lists I’ve received, and also personal experience. The items listed here are primarily for the expectant mother, so don’t forget to pack for the birth partner and the baby, too. Electrolyte Solution - I’ve used Ener-C packets in the past, but any will do. Sweater and/or Robe - It does get cold & feeling comfy is so important. Especially if you’re at the hospital in gown walking around with your backside on display! Slippers and/or Warm Socks - I have a pair of socks that are like slippers with cozy fleece inside and sticky treads on the bottom. These are awesome! Phone - This will be used to listen to music, meditations, birth affirmations, take photos, time contractions, etc. Phone Charger - Of course! Camera and/or video camera - If you want to have crystal clear documentation. The Winter Smoothie Challenge is in its final week (you can still sign up to get all of the recipes here)! We’ve been having a lot of fun playing around with different recipes and ingredients. I wanted to share a bonus smoothie recipe this week in time for Valentine’s Day. Blend until the desired consistency is reached. Top with raspberries, whipped cream and cinnamon hearts gummy candies (if using). In a small saucepan set over low heat, stir the juice, maple syrup and cinnamon. Whisk in gelatin until dissolved. Pour into little silicone heart molds and put in the fridge to set. Who doesn’t love a little toasty bread with olive oil and tomatoes. Yum! Adding fresh thyme to this recipe creates the Christmas-y spirit with red and green. I hope you enjoy as much as my family does - they disappear in no time! Merry Christmas and/or Happy Holidays to you! Note: This recipe requires 1 hour and 40 minutes of roasting. Preheat oven to 275 degrees Fahrenheit. Line 2 baking sheets with crumpled parchment paper. Set aside. Slice tomatoes, mince garlic and de-stem fresh thyme. Place tomatoes on your baking sheet. Drizzle generously with olive oil. Sprinkle with thyme and minced garlic. Season with sea salt and ground pepper. Don’t be shy with your salt & pepper. They add great flavour. Place the pan in the oven and toast for 1 hr and 30 minutes. Once the tomatoes have finished roasting, remove from the oven and set aside. Increase the oven temperature to 400 degrees Fahrenheit. Place the bread slices into the oven to toast for 10 minutes. 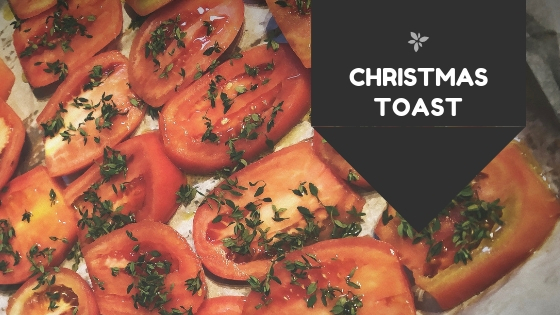 Once the toast is done, move a slice of tomato onto each slice for 32 total pieces of Christmas toast. Sprinkle with additional nutritional yeast, and season with more salt and pepper. I loooooove gingerbread. It's one of my favourite holiday items, but I have been very put off by how dry it can be and how much sugar can be in it. 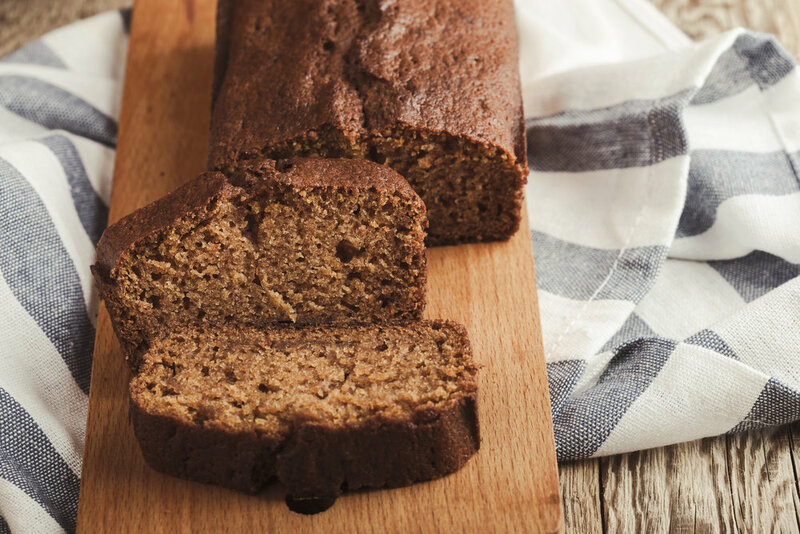 Over the last two holiday seasons I have worked hard to develop a moist and delicious paleo gingerbread loaf recipe. This is in loaf form rather than cookie dough form, but I like it better. Kid-Friendly Option: If you want to make it more fun for your kids you can line a cookie sheet with Silpat or parchment paper and place a number of different coconut oil-greased cookie cutters on the baking sheet. Then fill the cookie cutters with gingerbread batter. This will adjust the cooking time to 25 minutes instead of 35. Preheat oven to 400 degrees Fahrenheit. Line a loaf pan with crumpled parchment paper. Whisk eggs in a small glass bowl. Then add molasses, almond milk, vanilla, coconut oil and maple syrup or honey. Set aside. In another bowl, combine almond flour, baking soda, baking powder, sea salt, cinnamon, ginger, nutmeg, and cloves. Fold wet ingredients into dry ingredients and mix gently until well combined. Pour batter into your loaf pan. Bake for 35 minutes or until a knife or toothpick inserted into the loaf comes out clean. Serve with toppings of your choice: almond butter, unsweetened apple butter, pomegranates or orange slices. I am thrilled to be offering a Fine Fettle Tea Holiday Tea Bundle as my 3rd giveaway of the Gives & Gratitude season. Fine Fettle Tea is a tea company run by my dear friend and naturopathic doctor colleague, Dr. Melissa Bingeman, ND. She prides creating beautiful tea blends that are locally sourced, of the highest quality - and taste delicious, of course. This bundle includes her Holiday Blend, Doctor’s Detox & Digestive. All perfect for the holiday season. Enter the giveaway by using the Rafflecopter tool below. Winners will be announced by email on December 24, 2018. 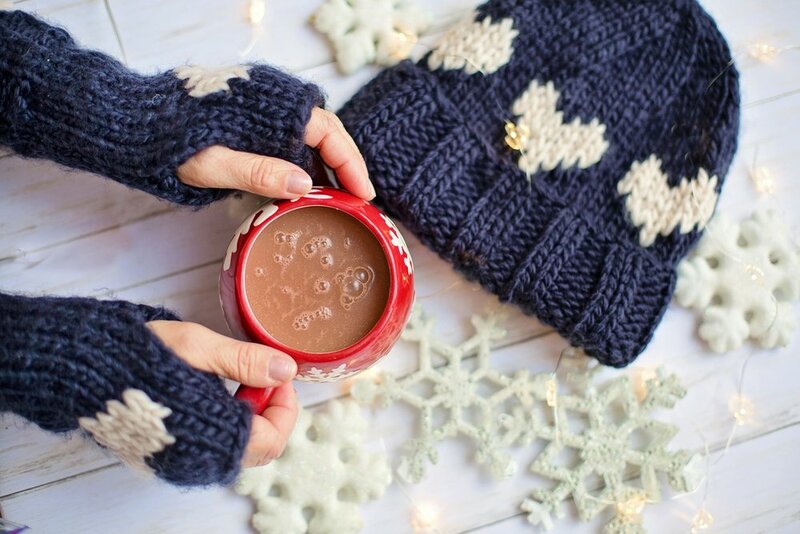 Is there anything better than curling up with a cup of hot cocoa on a cold wintery evening? My husband was craving hot chocolate one night and I whipped this up for him in a matter of minutes. 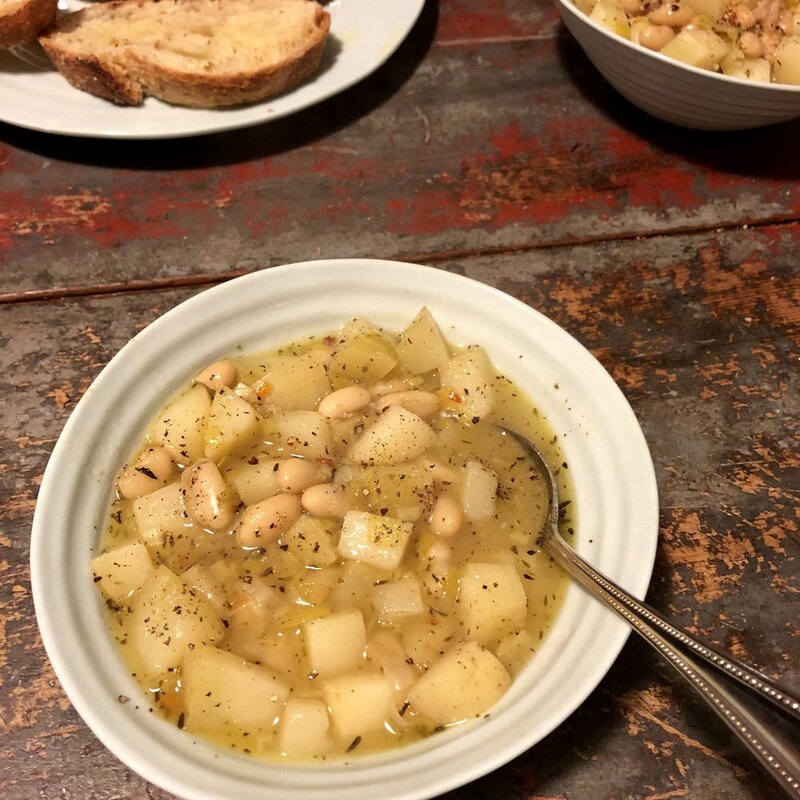 Just in time for the holidays, this recipe will keep you cozy and, while not completely destroying your dietary goals. Warm the milk on the stove over medium heat until hot. Whisk in the rest of the ingredients to combine. Heat for another 1 minute. I want to get you ready for a calm and more mindful new year by gifting 1 lucky winner 1 free month with my favourite meditation app, Headspace. I use this guided meditation app on a daily basis, and it has made a huge difference in my life. I want you to have the same clarity and calm to enjoy for 2019. Winners will be announced by email on December 21, 2018. This recipe is adapted from Sue McHardy’s “Skinny”, Gluten-Free Gingerbread Pancakes. Sue is an awesome personal trainer in the Caledon area of Ontario. Thanks for inspiring this recipe, Sue. Your workouts obliterate me! Just in time for the holidays, this recipe will knock your breakfast socks off, while not completely destroying your dietary goals. The spices make for a wonderful blood-sugar balancing, anti-inflammatory bonus, while also providing lots of flavour. My 2-year-old daughter helped me make these this week & they are totally yum! Tip: They cook up faster than regular pancakes so watch them closely. Combine the dry ingredients together in a large bowl. Then add in the wet ingredients. Preheat your griddle pan over medium heat. Drop 1/4 - 1/3 cup onto your pan. When bubbles form, flip. Cook for a few more another 1-2 minutes. Serve with a swipe of almond butter (or nut or seed butter of your choice), cinnamon molasses maple syrup & raspberries. I want to get you ready & set for the new year with the ultimate new year bundle. 1 Effic.co planner - The best of the best of day planners. 1 5-Minute Journal - The best of the best of gratitude, intention and affirmation journals. I use both of these on a daily basis and they have made a huge difference in my life. I want you to have the same organization and journaling tools in time for 2019. Winners will be announced by email on December 17, 2018. This soup came to be after the need for a major fridge clean out. We had potatoes and leeks needing to be used. Throw in some white beans and you’ve got a delicious, warming, and well-balanced supper in no time flat. In large soup pot, heat oil, butter or coconut oil over medium-high heat until shimmering. Add chili flakes and cook until fragrant, but not burned. Add leeks and garlic into the pot and cook until soft. Add in potatoes and beans, and cover with broth. Bring to a boil. 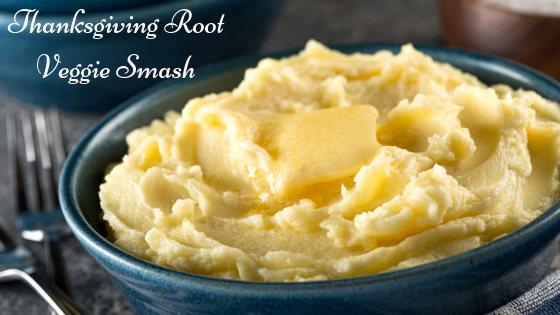 Then cover the pot and simmer until your potatoes are soft. This Salad is Just Peachy! Peaches are in season right now and we’ve got to use them up, but I was a bit tired of the typical scones, muffins and cobblers, so I created a peach salad that can be used as an appetizer or side dish at dinner. Fun Fact: While not abundantly high in magnesium, peaches do contain some. Hurray! We’ve come full circle now. In a small bowl, combine vinegar of your choice, lemon juice, extra-virgin olive oil, and tamari. Whisk until combined. Pour the dressing over the mixture in the serving bowl, and toss to combine. Top with mint, basil, pecans and goat cheese and season with sea salt. This dish is perfect for breakfast or dessert. 400ml can of chilled coconut milk. Be sure it’s as natural as possible without additives and fillers otherwise it will not separate appropriately. After it has chilled overnight, there should be a thick cream layer and a liquid layer. In a medium-sized glass bowl combine almond milk, vanilla, salt and maple syrup. Add the chia seeds and stir until well combined. Place in the fridge overnight or for 3 hours. Place your can of coconut milk in a medium-sized mixing bowl and place in the fridge to chill overnight, too. Be careful not to shake the coconut cream as it will not separate properly. The next morning, once the chia pudding has set, add in the quartered strawberries. Reserve a few for garnish. Prepare your whipped coconut cream by opening the can and scraping out the thickened cream layer. Do not use the liquid. Mix on high for 5 minutes, then add in honey and vanilla. Then continue mixing for another 10 minutes, or until the cream is fluffy and holding peaks. Separate the chia pudding into your serving bowls and top with coconut cream and remaining strawberries. I mean, who doesn't love a delicious mojito, but adding strawberries and raspberries ups the antioxidant quota and gives it a fresh spin. To make your simple syrup: combine honey, water and 1 handful of mint leaves in a small saucepan and heat over medium heat until the honey is completely dissolved into the water. Remove from the heat, remove the mint leaves, and let cool for up to 30 minutes. Place 1/2 of the strawberries, 1/2 of the raspberries along with the lime juice, simple syrup and ice. Blend until smooth. Pour into a tall glass until half full. Add sparkling water and remaining raspberries, strawberries and mint leaves. Garnish with a sprig of fresh rosemary. Every summer (and occasionally throughout the year) my husband and I are asked to whip up our famous guacamole. I don't even know how it came together, but people really seem to enjoy it. In light of the holidays upon us this weekend I thought I would share this delicious guacamole recipe with you. It will keep you satisfied and nourished so you can enjoy all of your weekend activities. Start by mixing the basics (avocados, tomatoes, and purple onion) in a serving bowl. Add garlic, lime juice and cilantro. Season with salt and pepper to taste. Now comes the fun part: taste the guacamole and adjust as necessary. We usually add in more lime, garlic and cilantro. Note: Mix the pits into the guacamole to keep it from oxidizing and turning brown. If you do need to store the guacamole for later use, be sure to press a layer of plastic wrap directly onto the guacamole to avoid oxidation & discolouration of the mix. To make mashing a little easier you can try this cool 4-in-1 Avocado Tool from Williams Sonoma. I got it for Christmas a few years ago & it certainly helps my prep. Serve the guacamole with crudités, healthy vegetable chips, or Que Pasa's awesome organic corn tortilla chips. I asked my husband the other day the last time he went out for St. Patrick's Day and he replied "university". Right. I think my last time was in naturopathic medical school about 6 or 7 years ago. So, since green beers have now been replaced by green teas, I thought a green tea recipe would be appropriate today. Especially if you're like me and running around looking after a toddler today instead of running around to different pubs. I have been experimenting with bulletproof matcha latte's lately. 1. Warm milk of your choice in a small saucepan. 2. While it's warming, bring your water to the proper temperature. Once it's ready, place your green tea in a bowl and whisk in the water. 3. Place all ingredients except the protein in a high-powered blender. I use a Vitamix. 4. Blend for a few seconds until things are getting foamy. 5. Add in your protein powder and blend for a few more seconds. 6. Pour into your favourite mug and enjoy! Nettle leaf tea is a brilliant option for alleviating allergy suffering. Brew some up this season and see how you feel. 4-5 Tbsp of dried nettles. You can purchase from me or from The Herbal Clinic & Dispensary. Place nettles in a 1-quart Mason jar, or a Bodum French press. Let sit for at least 10 minutes, but ideally for 4 hours or overnight. Strain and enjoy 2-3 cups day during allergy season.